Santa's little helpers will be having some fun after all the hard work is done. 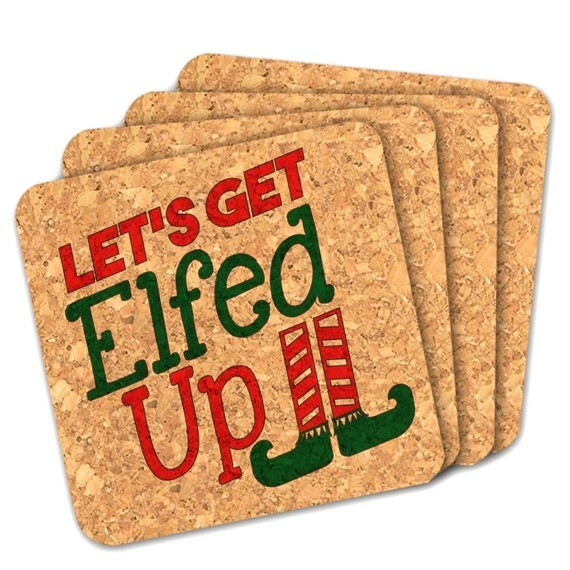 They can enjoy their favorite adult beverages with these clever "Let's Get Elfed Up" square cork coasters. Place them out on the table tops at a festive gathering or give them as a gift for others to enjoy. Coasters are crafted from 100% renewable, all natural cork. PLEASE NOTE: Non-personalized. Sold as a set of four (4) and prices quoted are per set.